The SWAG Box maintains this Website as a service to the user community that visits the Website subject to these Terms and Conditions. You are responsible for obtaining any equipment and Internet service necessary to access our Website and for paying any fees for the equipment and service you select. We may alter, suspend, or discontinue this Website or the Services in whole or in part, at any time and for any reason, without notice. The Website may also periodically become unavailable due to maintenance or malfunction of computer equipment or for other reasons. As a subscriber to The SWAG Box, each month we will ship you a package with a different selection of Christian items. Each month of your subscription, the selection of Products may change. Accordingly, The SWAG Box cannot guarantee that a selection available in a particular timeframe will be available in any subsequent timeframe. BY SUBSCRIBING YOU AGREE TO PAY THE MONTHLY SUBSCRIPTION FEE FOR THE PRODUCTS THAT ARE SUPPLIED EACH MONTH. Unless otherwise indicated at the time of your purchase, shipping and handling fees are added your order at time of checkout. Shipping dates and/or arrival times are only estimates. For loss/damage claims, you must notify The SWAG Box within 30 days of the date of your purchase if you believe all or part of your order is missing or damaged. Replacement of Products and credits to your account for shipped merchandise claimed as not received are subject to our investigation, which may include postal­service notification. We will adjust your account at our discretion. Repeated claims of undelivered merchandise may result in the cancellation of your membership. If a Product is defective or if something is damaged, you may return it and we will send you a new item or credit your account. To request a refund, please contact us at support@theswagbox.net. When returning Products, it is your responsibility to take reasonable care to see that the Products are not damaged in transit and are received by us at our address as displayed on the postage label. Please note credits resulting from the monthly charge are only available up to 30 days past the date of the charge. Refunds are at the sole discretion of theSwagbox.net. You may be charged local sales tax or VAT, if applicable. International Access This Website may be accessed from countries other than the United States. This Website and the Services may contain products or references to products that are only available within the United States and U.S. territories. Any such references do not imply that such products will be made available outside the United States. If you access and use this Website outside the United States you are responsible for complying with your local laws and regulations. 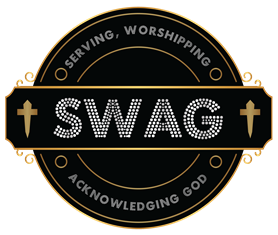 If you are not completely satisfied with The SWAG Box, you can cancel your membership and discontinue your monthly payments at the end of your subscription term period. In order to cancel before you are re­billed for the next shipment, you need to contact The SWAG Box prior to the renewal date on the 1st of each month. Email: support@theswagbox.net. If your membership has already renewed and you’d like to cancel an upcoming shipment, you must request cancellation by the 5th of the month to be eligible for a refund. IF YOU DO NOT CANCEL PRIOR TO THE FIFTH DAY OF A CALENDAR MONTH, YOU CANNOT BE REFUNDED FOR THAT MONTH’S SHIPMENT. WE DO NOT OFFER REFUNDS ON BOXES THAT HAVE ALREADY BEEN SHIPPED. IN NO EVENT SHALL THE SWAG BOX OR ITS OFFICERS, DIRECTORS, EMPLOYEES, OR AFFILIATES BE LIABLE TO ANY USER OF THIS WEBSITE OR ANY OTHER PERSON OR ENTITY FOR ANY DIRECT, INDIRECT, SPECIAL, INCIDENTAL, CONSEQUENTIAL OR EXEMPLARY DAMAGES (INCLUDING, BUT NOT LIMITED TO, DAMAGES FOR LOSS OF PROFITS, LOSS OF DATA, LOSS OF USE, OR COSTS OF OBTAINING SUBSTITUTE GOODS OR SERVICES) ARISING OUT OF THE USE, INABILITY TO USE, UNAUTHORIZED ACCESS TO OR USE OR MISUSE OF THE PRODUCTS OR THE WEBSITE OR ANY INFORMATION CONTAINED THEREON, WHETHER BASED UPON WARRANTY, CONTRACT, TORT (INCLUDING NEGLIGENCE), OR OTHERWISE, EVEN IF HAS BEEN ADVISED OF THE POSSIBILITY OF SUCH DAMAGES OR LOSSES. YOU AGREE The SWAG BOX’S TOTAL CUMULATIVE LIABILITY IN CONNECTION WITH THESE TERMS AND CONDITIONS, THE WEBSITE, THE CONTENT, OR ANY PRODUCT OR SERVICES WHETHER IN CONTRACT, TORT, OR OTHERWISE, SHALL NOT EXCEED THE AMOUNT YOU PAID TO THE SWAG BOX IN THE THEN­PRIOR CALENDAR MONTH. By using this Website, our Services, or supplied Products, you agree to indemnify, hold harmless and defend The SWAG Box from any claims, damages, losses, liabilities, and all costs and expenses of defense, including but not limited to, attorneys’ fees, resulting directly or indirectly from a claim by a third party that arises in connection with use of this Website, Services, or Products by you or any other person accessing the Website using your member login account. We are not responsible or liable for the conduct of users or for any views, opinions and statements expressed in Content submitted for public display through our Website, such as through an online discussion forum or chat room. We do not prescreen information posted to online discussion forums or chat rooms, if any. With respect to such forums and chat rooms, we are acting as a passive conduit for such distribution and are not responsible for Content. Any opinions, advice, statements, services, offers, or other information in Content expressed or made available by users of an online discussion forum or chat room are those of the respective author(s) or distributor(s) and not of The SWAG Box. We neither endorse nor guarantee the accuracy, completeness, or usefulness of any such Content. You are responsible for ensuring that Content submitted to this Website is not provided in violation of any copyright, trade secret or other intellectual property rights of another person or entity. You shall be solely liable for any damages resulting from any infringement of copyrights, trade secret, or other intellectual property rights, or any other harm resulting from your uploading, posting or submission of Content to this Website. We have the right, but not the obligation, to monitor Content submitted to our Website through an online discussion forum or chat room, to determine compliance with these Terms and Conditions and any other applicable rules that we may establish. We have the right in our sole discretion to edit or remove any material submitted to or posted in any online discussion forum or chat room provided through this Website. Without limiting the foregoing, we have the right to remove any material that The SWAG Box, in its sole discretion, finds to be in violation of these Terms and Conditions or otherwise objectionable, and you are solely responsible for the Content that you post to this Website. Federal law restricts lobbying activities by tax­exempt organizations. “Lobbying” includes certain activities intended to influence legislation. Content posted by users does not constitute lobbying by The SWAG Box, but may constitute lobbying by you or an organization that you represent. You are responsible for complying with any applicable lobbying restrictions. Prohibited Content By accessing our Website or any chat room, online discussion forum, or other service provided through our Website, you agree to abide by the following standards of conduct. You agree that you will not, and will not authorize or facilitate any attempt by another person to use our Website or any related chat room or online discussion forum to: Transmit any Content that is unlawful, harmful, threatening, abusive, harassing, defamatory, vulgar, offensive, obscene, pornographic, lewd, lascivious, or otherwise objectionable, as determined by The SWAG Box. Use a name or language that The SWAG Box, in its sole discretion, deems offensive. Post defamatory statements. Post hateful or racially or ethnically objectionable Content. Post Content which infringes another’s copyright, trademark or trade secret. Post unsolicited advertising or unlawfully promote products or services. Harass, threaten or intentionally embarrass or cause distress to another person or entity. Impersonate another person. Promote, solicit, or participate in any multi­level marketing or pyramid schemes. Exploit children under 18 years of age. Engage in disruptive activity such as sending multiple messages in an effort to monopolize the forum. Introduce viruses, worms, Trojan horses and/or harmful code to the Website. Obtain unauthorized access to any computer system through the Website. Invade the privacy of any person, including but not limited to posting personally identifying or otherwise private information about a person without their consent (or their parent’s consent in the case of a child under 13 years of age). Solicit personal information from children under 13 years of age. Violate any federal, state, local, or international law or regulation. Encourage conduct that would constitute a criminal or civil offense. The SWAG Box does not claim ownership of any materials you make available through the Website. With respect to any materials you submit or make available for inclusion on the Website, you grant The SWAG Box a perpetual, irrevocable, non­terminable, worldwide, royalty­free and non­exclusive license to use, copy, distribute, publicly display, modify, create derivative works, and sublicense such materials or any part of such materials. You hereby represent, warrant and covenant that any materials you provide do not include anything (including, but not limited to, text, images, music or video) to which you do not have the full right to grant The SWAG Box the license specified above. You further represent, warrant and covenant that any materials you provide will not contain libelous or otherwise unlawful, abusive or obscene material. The SWAG Box will be entitled to use any content submitted by you without incurring obligations of confidentiality, attribution or compensation to you. The SWAG Box services are available to individuals of all ages. Individuals under the age of 18 can use this service only in conjunction with and under the supervision of a parent or legal guardian. In this case, the adult is the user and is responsible for any and all activities, subscribers and purchasers. Unless otherwise noted, all Content contained on this Website is the property of The SWAG Box and/or its affiliates or licensors, and is protected from unauthorized copying and dissemination by United States copyright law, trademark law, international conventions and other intellectual property laws. Product names are trademarks or registered trademarks of their respective owners. We do not claim ownership of Content submitted by users without compensation by The SWAG Box and with the expectation that such Content will be made publicly accessible through our Website. By submitting such Content, however, you agree to grant us a world­wide, royalty­free, perpetual, irrevocable, non­exclusive license to use, distribute, reproduce, modify, adapt, create derivative works from, and publicly perform or display such Content. This license shall remain in effect until we delete the Content from our systems. When you register to participate in The SWAG Box services on this Website, you may be required to establish a login identifier and a password. You are responsible for protecting your login and password from unauthorized use, and you are responsible for all activity that occurs on your account (including without limitation financial obligations). You agree to notify us immediately if you believe that your login or password has been or may be used without your permission so that appropriate action can be taken. We are not responsible for losses or damage caused by your failure to safeguard your login and password. YOU ARE SOLELY RESPONSIBLE FOR DETERMINING IF THE PRODUCTS ARE SUITABLE FOR YOUR USE AND CONSUMPTION. WE ARE NOT ABLE TO PROVIDE ANY ASSURANCES REGARDING ALLERGIES. Under no circumstances will we be liable for any loss or damage caused by your use of the Products or your reliance on information in any Content on this Website. YOU AGREE THAT YOUR SOLE AND EXCLUSIVE REMEDY ARISING FROM OR RELATING IN ANY WAY TO ANY PRODUCT SHALL BE ITS REPLACEMENT OR A CREDIT TOWARDS ANOTHER MONTHLY SHIPMENT, IN THE SWAG BOX’S DISCRETION. YOU MAY RETURN DEFECTIVE PRODUCTS WITHIN THIRTY (30) DAYS OF DELIVERY. EXCEPT AS EXPRESSLY PROVIDED HEREIN, ALL PRODUCTS SUPPLIED, AND ALL TEXT, IMAGES, AND OTHER INFORMATION ON OR ACCESSIBLE FROM THIS WEBSITE ARE PROVIDED “AS IS” WITHOUT WARRANTY OF ANY KIND, EITHER EXPRESS OR IMPLIED, INCLUDING BUT NOT LIMITED TO THE IMPLIED WARRANTIES OF MERCHANTABILITY, FITNESS FOR A PARTICULAR PURPOSE, AND NON­INFRINGEMENT. SPECIFICALLY, BUT WITHOUT LIMITATION, THE SWAG BOX DOES NOT WARRANT THAT: (i) THE INFORMATION AVAILABLE ON THIS WEBSITE IS FREE OF ERRORS; (ii) THE PRODUCTS OR SERVICES ARE NOT DEFECTIVE; (iii) THE FUNCTIONS OR SERVICES (INCLUDING BUT NOT LIMITED TO MECHANISMS FOR THE DOWNLOADING AND UPLOADING OF CONTENT) PROVIDED BY THIS WEBSITE WILL BE UNINTERRUPTED, SECURE, OR FREE OF ERRORS; (iv) DEFECTS WILL BE CORRECTED, OR (v) THIS WEBSITE OR THE SERVER(S) THAT MAKES IT AVAILABLE ARE FREE OF VIRUSES OR OTHER HARMFUL COMPONENTS. This Website may contain links to third party Websites that are provided to you as a convenience. Any outside Website accessed from our Website is independent from The SWAG Box, and we have no control over the content of such Websites. We are not responsible for the content of any linked Website or for any loss or damage incurred in connection with your use such links or dealings with the operators of such third party Websites. No Implied Endorsements In no event shall any reference to any third party or third party product or service be construed as an approval or endorsement by The SWAG Box of that third party or of any product or service provided by a third party. Likewise, a link to any third party Website does not imply that we endorse or accept any responsibility for the content or use of such a Website. The SWAG Box does not endorse, warrant or guarantee any product or service offered by any third party through an online discussion forum or chat room accessible through this Website and will not be a party to or in any way monitor any transaction involving any third party providers of products or services. As with the purchase of a product or service through any medium or in any environment, you are responsible for exercising appropriate judgment and caution. These Terms and Conditions shall be governed and interpreted pursuant to the laws of the State of Georgia, United States of America, notwithstanding any principles of conflicts of law. All disputes arising out of or relating to these Terms and Conditions shall be finally resolved by arbitration conducted in the English language in Suwanee, GA, U.S.A. under the commercial arbitration rules of the American Arbitration Association. The parties shall appoint as sole arbitrator a retired judge who presided in the State of Georgia. The parties shall bear equally the cost of the arbitration (except that the prevailing party shall be entitled to an award of reasonable attorneys’ fees incurred in connection with the arbitration in such an amount as may be determined by the arbitrator). All decisions of the arbitrator shall be final and binding on both parties and enforceable in any court of competent jurisdiction. Notwithstanding the foregoing, we shall be entitled to seek injunctive relief, security, or other equitable remedies from federal and state courts located in the State of Georgia or any other court of competent jurisdiction. Under no circumstances shall the arbitrator be authorized to award punitive damages, including but not limited to federal or state statutes permitting multiple or punitive damage awards. Any purported award of punitive or multiple damages shall be beyond the arbitrator’s authority, void, and unenforceable. If you have any questions about these Terms and Conditions, please contact support@theswagbox.net The SWAG Box PO Box 571 Suwanee Ga 30024 Copyright © 2016, The SWAG Box. All Rights Reserved.